Renovation Services, Asheville NC | Off Duty Fireman Construction Inc.
'); // });Renovation Services, Asheville NC | Off Duty Fireman Construction Inc.
Our renovation services are based on the belief the quality workmanship and superior customer service are everything. Even if your home offered everything you ever needed and wanted when you moved in, your needs have changed over time, and it just doesn’t meet your requirements for space, functionality, or aesthetics anymore. If you’re ready ensure your Asheville, North Carolina home meets your needs once more and to add immense value to it, we want you to turn to us at Off Duty Fireman Construction Inc. for renovation services. The quality of our workmanship is second-to-none, and we ensure we turn exactly what our customers want into a reality every time we work on a renovation project. 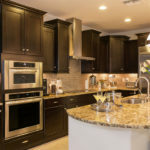 Our renovation services are based on the belief the quality workmanship and superior customer service are everything, and we’ll go above and beyond to ensure your complete satisfaction. Whether you want to complete an entire kitchen overhaul or upgrade a few features in your master bath, we’re the ones for the job. The best part of our renovation services is that we don’t work with a huge team of subcontractors. Instead, we maintain a small team of skilled craftsmen who know how to complete most, if not all, of the tasks needed during the renovation process. This ensures the quality and timeliness of our renovation services during every stage of the project. Get exactly what you’ve always wanted out of your home by letting our team renovate it according to your exact specifications. To get the renovation process started or to find out more about what our renovation services include, contact us at Off Duty Fireman Construction Inc. today. At Off Duty Fireman Construction Inc., we offer renovation services in Asheville, Waynesville, Hendersonville, Black Mountain, Arden, Maggie Valley, Charlotte, Lenoir, Hendersonville, and Winston-Salem, North Carolina.